Coloring books are one of the "in" thing this year. And me, being an explorer that I am, just had to "try" this trend. Guess what, I’m actually enjoying it! 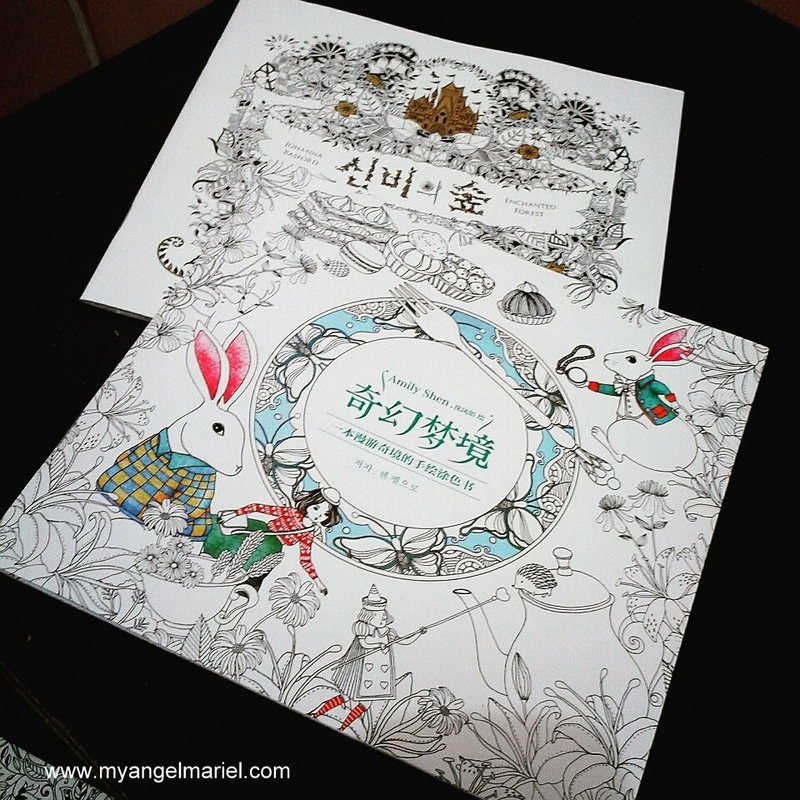 Two of my own coloring books. 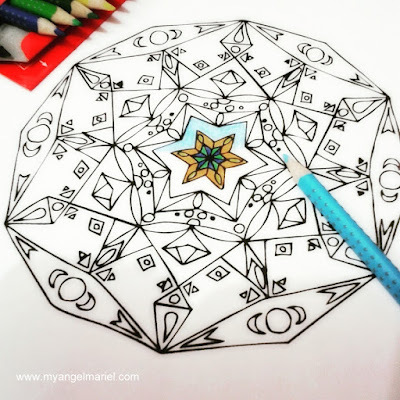 When my sister came to visit recently, she brought along patterns of mandalas which she happily shared with me. 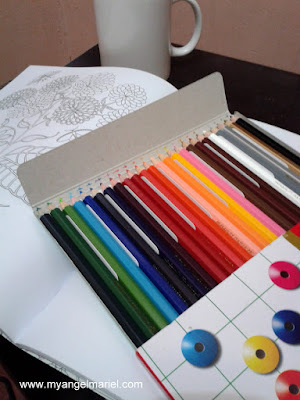 I bought a 12-piece coloring pencil set and started on a simple dream catcher pattern. Then, I found myself coloring non stop, forgetting time, and just letting my right brain flow. So, my coloring journey began. You can use different media in your coloring book. Watercolor, oil pastel, colored pens, and even crayons are just some examples. Hey, it's your coloring book, right? My personal preference is a 24-piece coloring pencils set. It's the commonly used medium for coloring books and it doesn't cost a lot. From simple mandalas, I decided to go for more challenging ones. Those that don't take two hours to finish, but days. 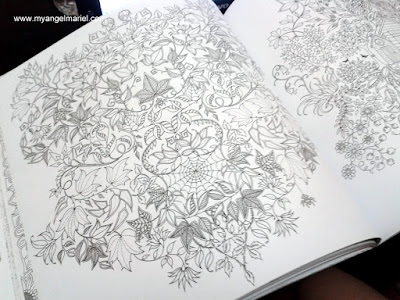 At first I was hesitant when I saw how difficult and detailed the patterns were, take for example, Johanna Basford's Secret Garden. However, as I started on intricate patterns, I realized that you just have to take each part one at a time. That way, it becomes easier to fill in. Just one simple step at a time, one leaf, one flower, at a time. I just let myself go when I color. Sometimes, I color it plain, sometimes with gradient effects. It's just depends on my current state of mood. No pressure... I just choose colors at random. Who cares if I color the leaves red, right? If my colors go beyond the lines, I just let it be. In the end, I always get surprised at the result... a masterpiece borne out of days of wavering moods and states of mind. Sure, there are mobile coloring apps but I enjoy doing it for real. It's the strokes of my hand, the result of the pencil on paper, and the blend of colors that relaxes my mind. It's a nice retreat after a stressful day at work or after fighting through the traffic jam. The trick is, to just let your sub-consciousness guide you. Isn't that what therapy is all about? Are you into coloring books, too?